all mine! : ownCloud Conf coming... And REWE offers a cheap way to get there! ownCloud Conf coming... And REWE offers a cheap way to get there! ownCloud is organizing an ownCloud conference/hackathon at the Technische Universität Berlin this August. And as Steffen Lindner shared on twitter, the German REWE supermarket is offering cheap tickets to go to Berlin from all over Germany during the event! The REWE supermarket has a "Ganz Deutschland, ein Preis" action where you can get a retour ticket from anywhere in Germany to Berlin, including seat reservations, AND a €10 discount on a future trip for BahnCard holders - for €79. Not a bad deal (depending on where you live of course), but you'll have to grab it this week! 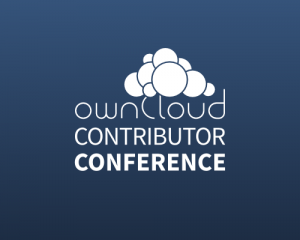 The ticket is valid until the 31st of August, which fits perfectly as that is the last day of the ownCloud Contributor Conference! I have also just put up some hotel options on our website. I'd recommend to try to book the three star Novum hotel Gates, for just €34 per night it is a nice deal. If you prefer something a little more up, try the four-star Novotel am tiergarten, for about €75/night. So, that means: you can now book travel and hotel. Don't forget to register on this page. Note that you have to first create an account and then actually register for the event! The goal of the ownCloud Contributor Conference is to Get Stuff Done™, but we also want to offer people interested in coding on onwCloud a chance to learn a thing or two. So, while we simply have a doors-open hackathon from 26-31 of August, on Saturday the 30th we feature techtalks and workshops where people can learn to write ownCloud apps, using the ownCloud share and syncing API in their application and more. PS there's a nice article over at Linux.com about why Frank started ownCloud. And we have also released the first Alpha of ownCloud 7!